Gloria and I have at this moment visited 125 Texas wineries and have enjoyed every minute. We’re still learning to tell you what the aromas and tastes are in wine, and probably never will be able to, hence the idea of telling about our experiences at the Texas wineries. 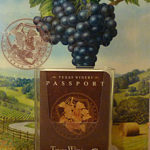 We were big proponents of the previous Texas Passport Program which started us on the journey of visiting Texas wineries, and look forward to learning how the new program will work. The blog started out as an extension to my personal website and after a couple months I decided to make it more professional and came up with the name TX Wine Lover. 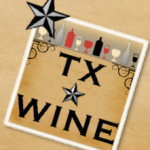 This allowed me to move the blog to https://txwinelover.com, create a Facebook page, and switch to the Twitter account of @TXWineLover. Met some great Texas winery owners, winemakers, winery employees, and fellow Texas wine lovers. Some I originally met on Twitter so it was fun to meet them in person. I guess it has been a busy, but definitely fun year. I have a queue of winery visits to discuss and was always afraid if I wrote about every one we visited, then I wouldn’t have anything else to blog about. From looking at the above list though, I think I should be able to find something. Already there are plans for the next year. Since a lot of our winery visits were done before the idea of the blog came about, we have had to revisit some of those wineries for pictures, information, etc. before I can write about them, and we have more which need to be revisited. 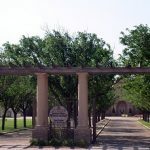 Plus there are wineries which we have not been able to get to yet, not to mention new Texas wineries which are always opening. I will be attending at least two conferences this year. 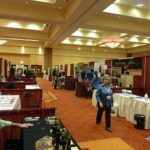 First up is DrinkLocalWine in Colorado next month and then in August is TEXSOM again. Various other things are planned and it should be another fun year. I want to especially thank all the people who have tolerated me during the year including the winery owners and winemakers for patience in answering my questions and letting me take photos, but especially Gloria who has had to listen to me talk about Texas wine and the industry in general. Most of all, I want to thank you the reader, for stopping by the website every so often and hopefully enjoying what I write. Please don’t be afraid to give feedback and possible suggestions to keep the blog interesting, and we’ll take this journey together.